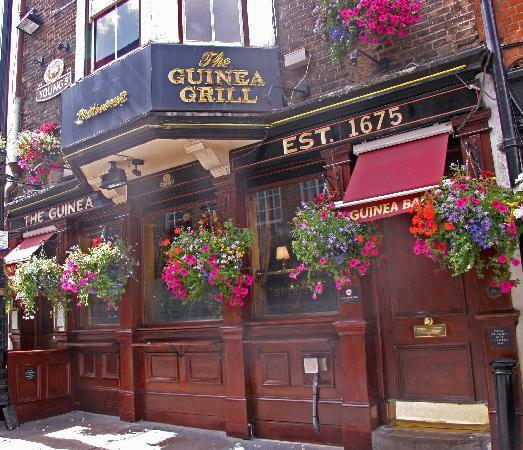 I had dinner in this fabulous looking pub near Berkely Square last night. The atmosphere is fantastically cosy and the staff very friendly and attentive. The food they serve is of very high quality. I had a delicious fillet de boeuf with crispy haricot verts and excellent mash potatoes. They found a really good balance between the atmosphere of a traditional pub and a chic restaurant. All tables have elegant white cloth on them with silver cutlery and the waiters are in formal uniform.